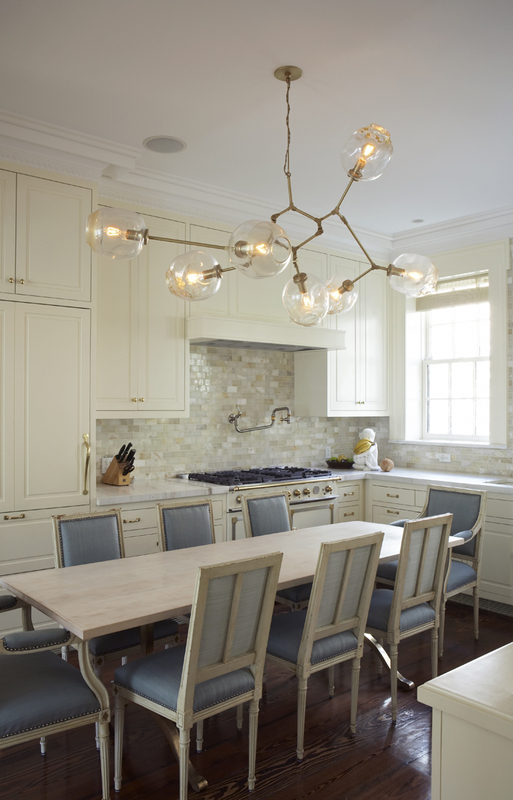 If only that ahhhh-mazing light fixture wouldn't set me back just over $17,000. Yeah, that's not a typo there. It's almost like hanging a car above my dining room table. Or 3 cars if you're talking my car in college. LA's lights are ART! Love them. Hahahaha! Hanging a car...love it, as do I love Lindsey Adelman's lighting. It's great that she offers tutorials on how to recreate her lighting pieces for less on her website. how are you blogging in Italy. I needed my buddy at the BCD today!! Love this post. Also wanted to say, I think the layout and content of your blog is great, it's one of my must-reads. Have a great weekend! Love the chandelier, but that kitchen layout would drive me nuts! Having to navigate the dining table & chairs as you cook? No me gusta. 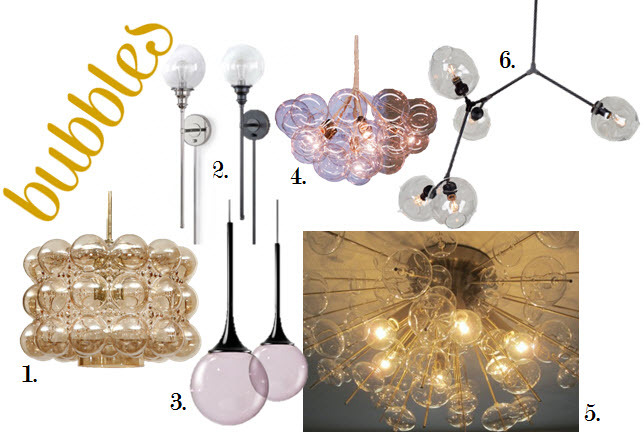 Thank you for featuring our Globe Sconce and our Bubbles Glass Ceiling Light. We Love your bubbles collage! We are all fans of your blog AND any and all bubbles items here at CGH.